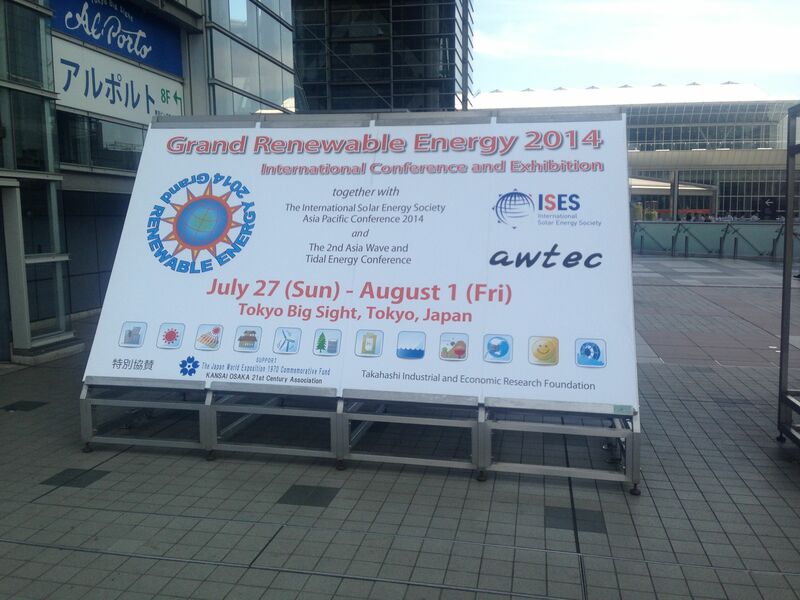 This summer, more precisely on Wednesday, July 30, 2014, I participated in the “Grand Renewable Energy 2014 International Conference and Exhibition” held at Tokyo Big Sight in Japan. 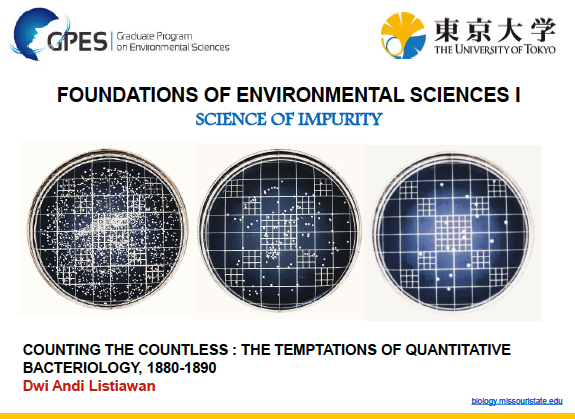 It was a very interesting event as I would at same time hold my first conference presentation in Japan in front of an audience mostly composed of Japanese research and industry representatives. It turned to be a very valuable experience as the feedback for presentation was very positive and the members of the audience asked many questions and made numerous comments, which lead to a lively discussion on my topic. 1. Policy & Integrated Concept; 2. Photovoltaic; 3. Solar Thermal Applications; 4. Innovative Bioclimatic Architecture; 5. Wind Energy; 6. Biomass Utilization & Conversion; 7. Hydrogen & Fuel Cell; 8. Ocean Energy; 9. Geothermal Energy & Ground-Source Heat Pump; 10. Energy Network & Power Utilities; 11. Energy Conservation & Heat Pump; 12. Small Hydro & Non-Conventional Energy. My presentation “COMPARATIVE ANALYSIS OF THE RENEWWABLE ENERGY MARKET ENVIRONMENTS OF JAPAN AND NEW ZEALAND'” was part of category 1. Policy & Integrated Concept. The topic revolved around how post-Fukushima Japan can reform its domestic renewable energy market in order to respond to the loss of nuclear power in a clean, safe and sustainable way. New Zealand possesses one the highest shares of electricity generation from renewable energy sources. New Zealand being similar to Japan in land area and topography, and having a comparable renewable energy potential with notable sources from wind, geothermal, solar and hydro, analyzing the general policies regarding renewable energy in New Zealand can provide valuable information for a potential policy reform in Japan, despite largely differing population sizes. 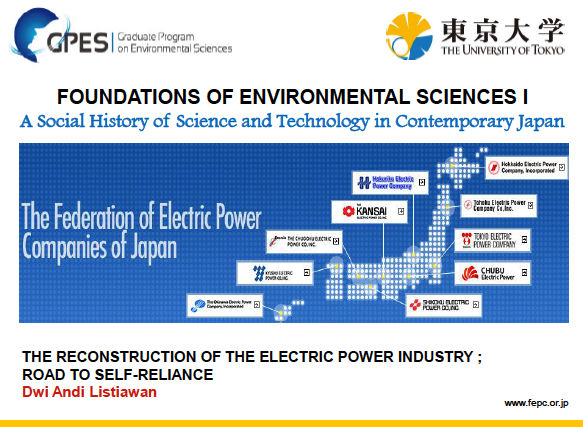 I looked at the fundamental structures of Japan’s as well as New Zealand’s electricity market regulations and attempted to identify the differences in order to propose modifications that would render Japan’s renewable energy market environment more accommodating towards renewable energy investments.